Cylindrical totem-form. 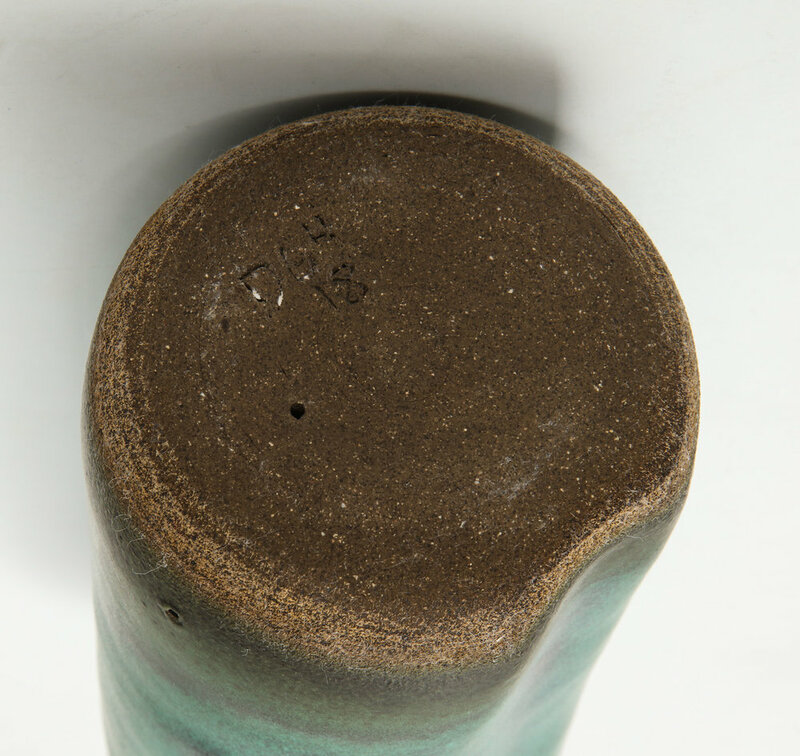 Hand built with rounded top, smooth oblong indentations, in green glazes. Artist-signed to underside.